As a qualified Paediatric Nurse and Specialist Public Health Practitioner, Sara has gained 22 years NHS experience culminating in her occupying a senior clinical leadership role; responsible for quality, safe and effective services for children, young people and families. In her career Sara has evidenced a passion for quality and excellence in clinical care. Sara has a proven track record of leading positive change, for those most vulnerable, in complex and pressurised clinical environments across a variety of provider areas. Sara has had a wealth of experience working closely with multi-agency partners in her career, not least demonstrated with several years’ experience in various roles as Designated Nurse for children and young people in the care system. Sara has championed innovation, evidenced by her developing the first nurse-led service in the country for responding to sudden unexpected deaths of children and young people. Sara’s work in this specialist area across Lancashire resulted in her being awarded a Lancashire Constabulary Commanders Commendation for her leadership on campaigns aimed at reducing the incidence of child death. 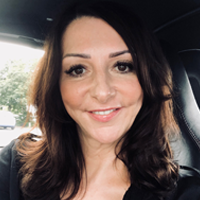 Sara has a passion for improving outcomes for those children most vulnerable and at risk in society and this passion has led her into successfully occupying senior statutory safeguarding roles and being a positive system leader within the safeguarding arena. In these roles Sara has provided leadership, accountability and responsibility for delivering quality safeguarding service as well as representing health on Local Safeguarding Children’s Boards (LSCB) and the Child Death Overview Panel (CDOP). Sara has also further enhanced her expertise and knowledge in the health and social care economy gaining experience of the commissioning of services for children and young people within a CCG and delivering on project work for NHS England. Sara is currently in her final year of study of a MA in Healthcare Ethics and Law and is a Governor at Newfield School with a portfolio for health and wellbeing.